Hello! 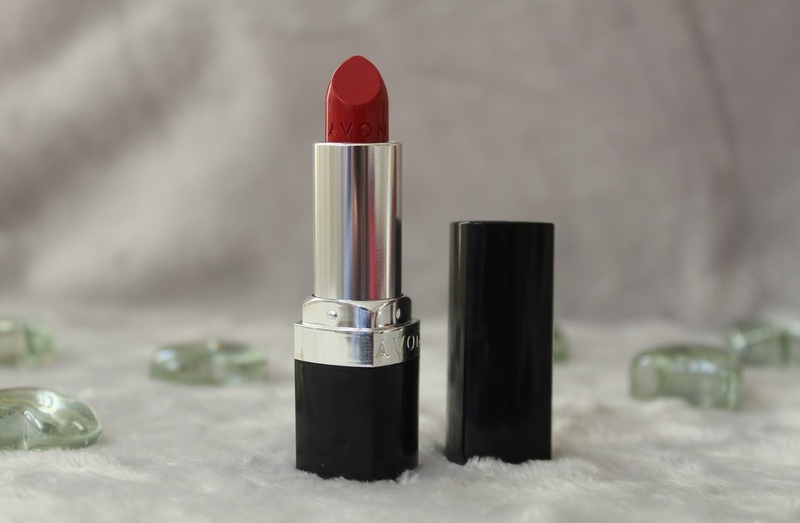 So I decided for my first ever blog post that I would just jump right in and talk about my favourite red lipsticks for fair skin. As I have fair skin myself I always struggled to find the right red lipstick that suits me and doesn't wash me out. It took me such a long time to find the right shade of red but once I found what it was I couldn't stop buying red lipsticks. The first lipstick that I have is possibly my most favourite and well used as you can see in the picture below. 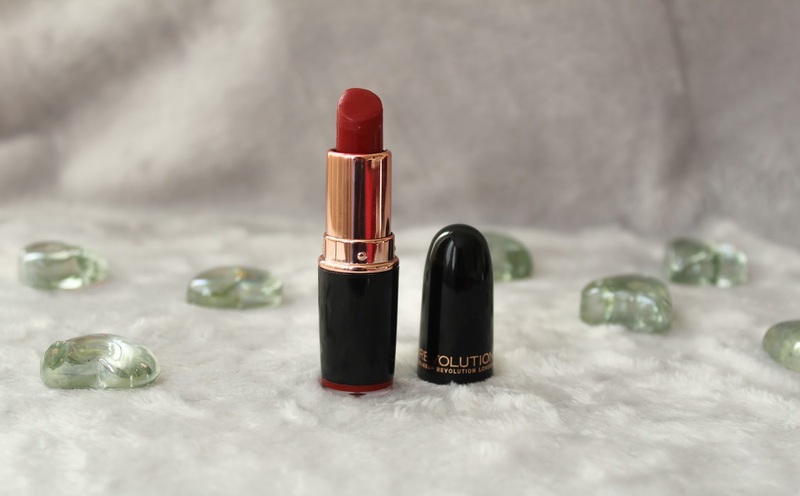 This lipstick is from the brand Makeup Revolution and I have to admit that I love their makeup, it is super affordable and the quality is really good too. So, this lipstick, as you can see, is a very dark blue/brown toned red but still a very true red. 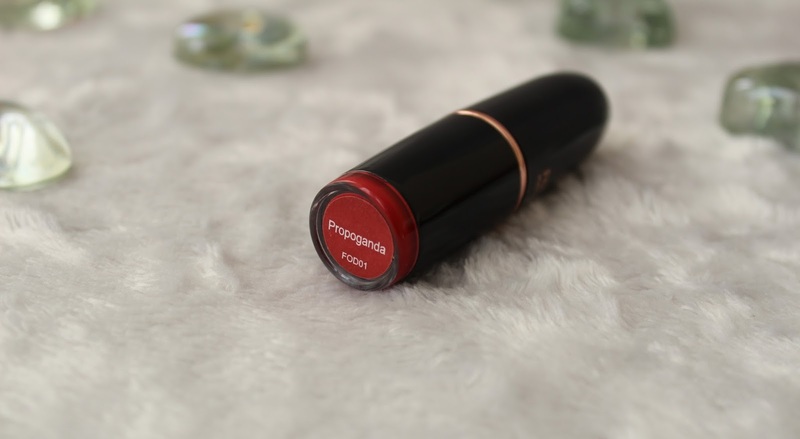 This is normally my go to red lipstick as the formula is a satin matte finish but not too matte that it is uncomfortable to wear, you can still feel this on your lips and know it's there without it drying your lips out. 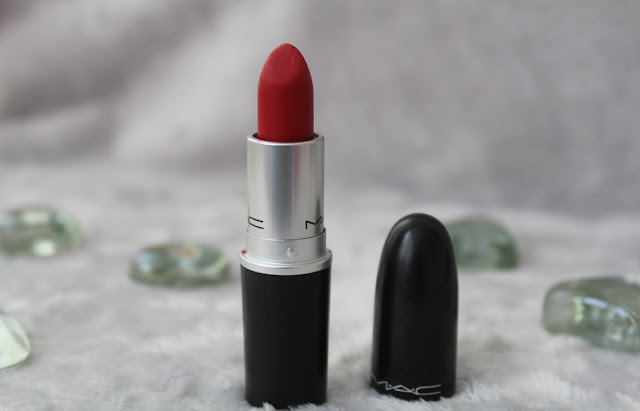 The lipstick it self, to me, has a lovely vanilla scent to it that is very similar to the scent of MAC lipsticks but the smell isn't too overpowering. For only £2.49 you can't really complain, very good quality and an all round lovely lipstick. You can buy this lipstick from the Makeup Revolution site here, and even have a look at their other shades. This second lipstick is by M.A.C and it is the newest addition to my collection of red lipsticks. Again, this is a very vivid blue toned - pillarbox red and is a Retro Matte finish. However, I feel like this lipstick can be slighty uncomfortable to wear, I found it very drying without any lip primer or lip balm on underneath it. On the other hand, this lipstick is so long lasting and wears pretty well with a lip primer, it lasts even through eating and drinking. As always M.A.C lipsticks have a gorgeous vanilla scent to them which should be the case considering the price of this lipstick. Ruby Woo is quite expensive at £15.50 and I believe that there a other more affordable lipsticks that are just as good as this one. You can purchase this lipstick from a M.A.C store or from their website here and I would highly recommend looking at their other shades and formulas. So, this lipstick is the newest red lipstick that I have and I've only wore it once so far but I really like it. It's the Ultra Colour Lipstick by Avon and was gifted to me by my sister-in-law and she knows that I'm a sucker for a red lipstick. This one, compared to the previous two lipsticks, has more of a creamy satin finish. 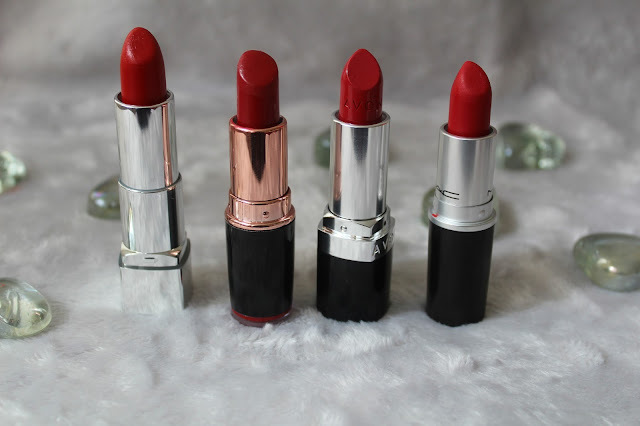 It is so comfortable to wear but you do need to top it up during the day like most lipsticks. The colour is again a very true red, with a brown - blue undertone but goes on slightly brighter than it shows in the tube. 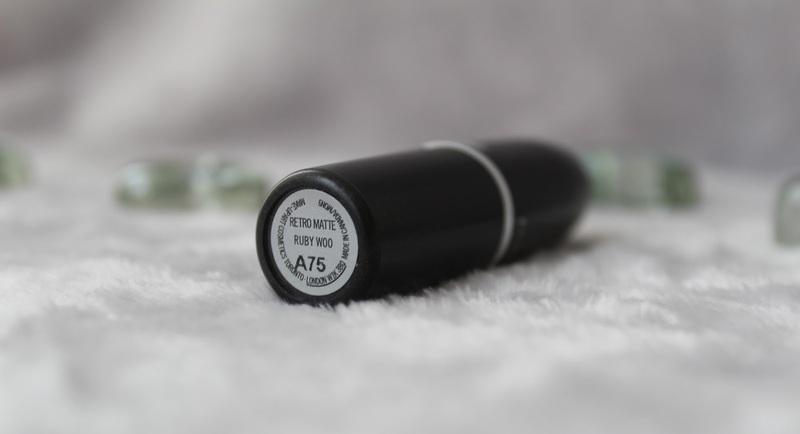 Once again, there is a lovely sweet scent to this lipstick that can make it hard not to eat! At £7.50 you can't go wrong, plus it is on sale for half price on the Avon wesite at the moment here. 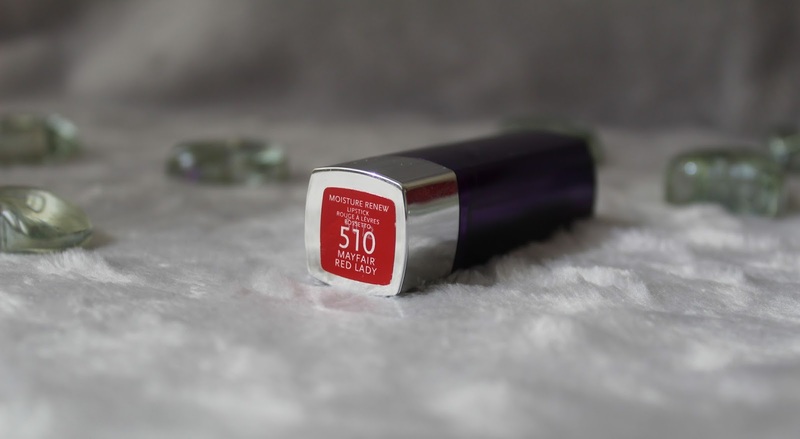 Last but not least Rimmel's Moisture Renew Lisptick in the shade Mayfair Red Lady, now I think that is a fitting name for a lipstick that colour is perfect for people with fair skin. This lipstick is a beautiful deep red but again, comes out brighter once applied. I wore this lisptick out on New Year's Eve and I noticed that it lasted nearly all night and I only had to top it up maybe once or twice. 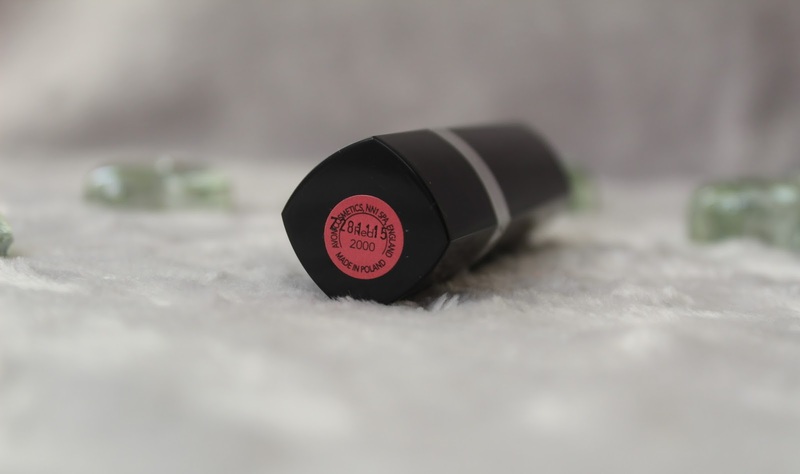 The finish of this lipstick is quite similiar to the Avon one but a lot creamier, hence the name 'Moisture Renew' and the way Rimmel describes the lipstick is perfectly true - "so comfortable to wear, it’s like a hug for your lips - the ultimate lip indulgence". Rimmel are also pretty well known for their lipsticks at reasonable prices and that is true, at only £6.49 you can't go wrong and definitely worth every penny. If you're interested in buying this lipstick you can get it on the Boots website here, and also check out some of there other gorgeous shades. As you can see from this final picture, most of these lipstick are very similar shades but when they are applied they are all different. However, I found that this similar shade works perfectly with my fair skin and if you have fair skin, they should work well for you too. Thank you for reading and I really hope you enjoyed my first ever blog post!